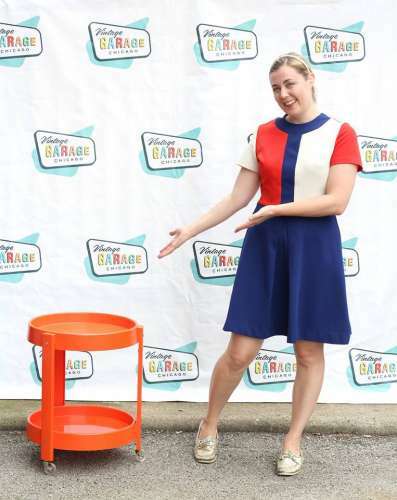 The Vintage Garage Chicago is a special kind of flea market Chicago doesn't have many. City dwellers have smaller spaces and parking isn't always ample. Ours is a flea market with mainly vintage items. That means we ask vendors to bring things that are 25+ years old. That's the definition of vintage from the Vintage Garage. We do let in excellent hand crafted pieces or things we believe our customers would like. Authentic vintage is our favorite but admit to sometimes enjoying vintage inspired items. Our customers know what they are looking for and often tell us what they are looking for. Shots below are from the past Vintage Garage shows. We are always the 3rd Sunday of the month, April through October. 5051 N. Broadway, Chicago IL 60640. 10am to 5pm.